BORG guide scope packages got in stock now. I appreciate people who have been patiently waiting. This is a flexure-free solid and lightweight guide scope. BORG 50 F5 is Japanese-made high quality cemented achromat lens. 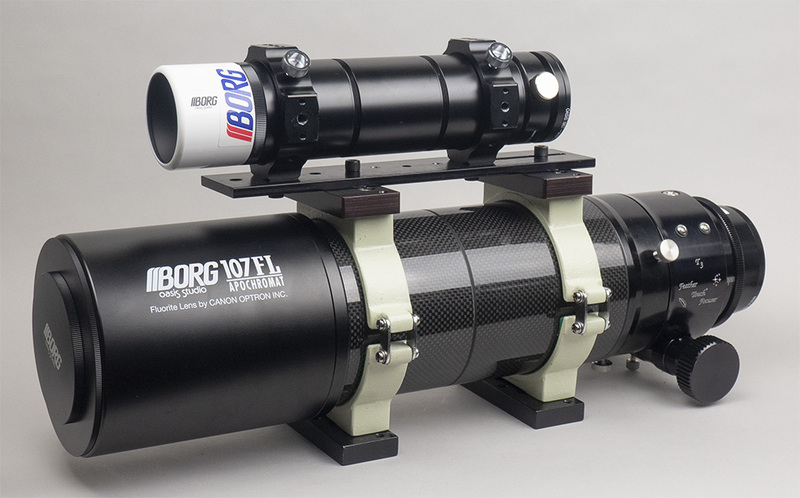 It’s a real telescope lens which is well capable of using the high quality finder too. I agree it is very good performance as achromat. One of very active BORG 90FL users – Steven Bellavia is continuously challenging tiny targets with his high resolution cameras – ASI 183MC and MM. Steven, thanks for updating your images. Excellent efforts! One of common questions on IDAS LPS filters to me is which filter is most suitable for each user. It’s hard to response. It depends on each user’s sky condition. 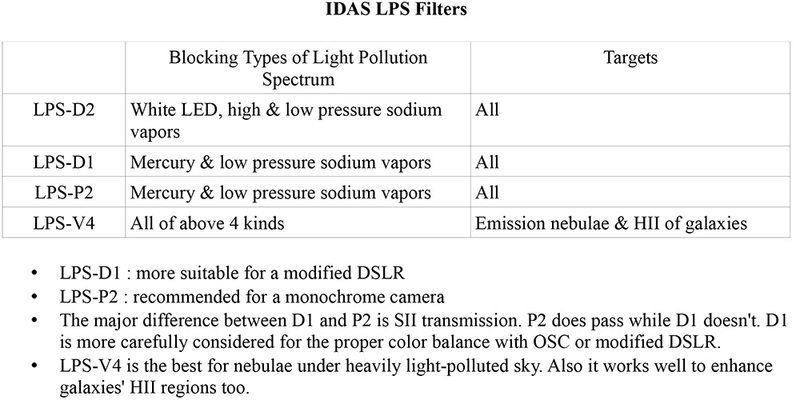 Unlike other brands, IDAS is offering each filter based on light pollution spectrum. So my 1st suggestion is to try to figure out what light pollution over the sky while referring to a following plots. BTW, I found out the interesting article on the light pollution on LA basin. As I mentioned here several times, I noticed the present my backyard sky turned more whitish rather than orange. I’m sure sodium vapors are not dominant any more. That should be true. But I’m a bit doubt all white light sources comes from white LED in LA since 2012. I feel some mercury or fluorescent lamps seem to be included as well. In any case, it is true the sky condition is changing and knowing what kind of light pollution is important for the filter selection. Another suggestion is to contact the local community or astronomy club. And enjoy astro imaging in urban area with IDAS LPS filters, like I’m doing so these days. ~ by tedishikawa on August 14, 2018.